Service includes: Change engine oil (Includes Full Synthetic), replace oil filter, rotate tires, inspect brake linings, and perform multi-point inspection. Here at our dealership in Marion, we are home to a phenomenal service center that utilizes state-of-the-art equipment and employs a hardworking team of technicians. These passionate individuals are factory trained and certified, and are true professionals of their craft. 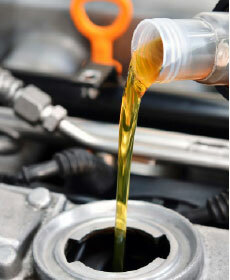 Schedule car service online or by calling (877) 349-1183 today! If you require any type of automotive servicing or repairs for your cherished vehicle, you will be thrilled that you have discovered the special deals that we make available for drivers from the surrounding areas of Mansfield, Findlay, Lima and Bucyrus in the state of Ohio. On this page, you will find extremely appealing and heavily discounted prices that you certainly will want to take advantage while you can. As our specials are consistently being adjusted, you will see varying services here on this page. The list below displays the general service and repair work that is periodically included in our specials, so take a moment to see if there is anything that catches your eye. Visit Our Service Department in Person! You are more than welcome to stop by our facilities to consult with a professional Toyota technician regarding your car, SUV or truck. And don't delay if there is an available special that you desire, as they surely won't last for long.